Ever wanted to unleash your inner Bridget Riley or Pablo Picasso? This fun, one day course will give you ideas for creating an abstract painting. 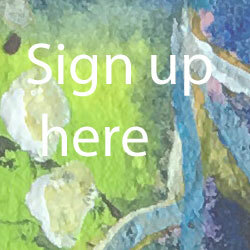 With the emphasis on developing your own style, we’ll be looking at how simplifying forms, exploring scale and perspective, and using colour, texture and mark making will unlock your imagination to produce dynamic paintings. Workshop numbers are restricted to a maximum of 10 which means you’ll receive plenty of individual tuition. Cost is £35 payable on booking. Janette gained an honours degree in Three Dimensional Design, specialising in Interior Design and practised as a commercial interior designer for several years, both in the private and public sector. Always drawn to painting, her inspiration for her work comes from a love of landscape, producing innovative, exciting and vibrant paintings. She works predominantly in oils, acrylics, and pastels, but loves to explore other forms of media. Her works are in private collections in the UK, USA, and South Africa. She was elected a member of the Society of Women Artists (SWA) in 2009, and a member of the Royal Birmingham Society of Artists (RBSA) in 2010.